These classrooms form an extension to our award-winning Straw Bale Cafe project. 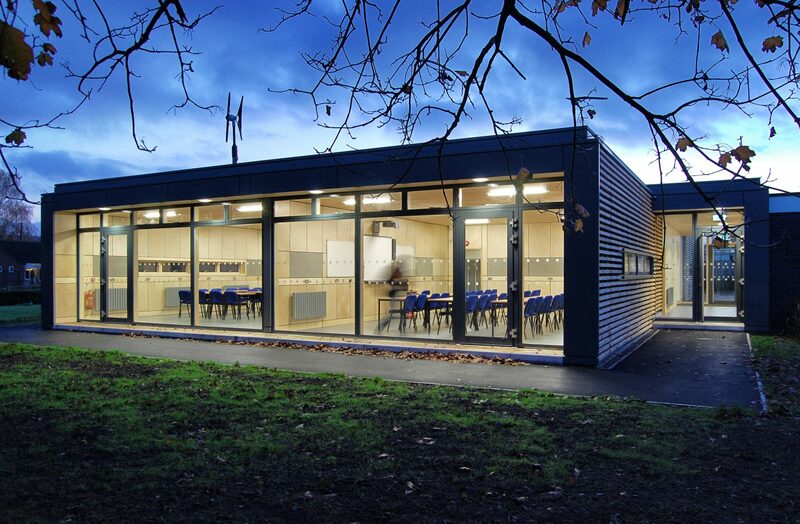 The new space adds additional teaching facilities to the Herefordshire and Ludlow College’s Holme Lacy campus. 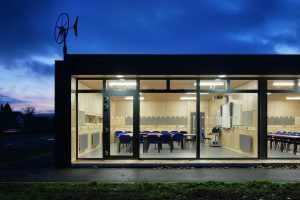 It is intended as a model for fast-track, prefabricated classroom design – they were delivered in short (3 month) window of opportunity during the College’s summer shutdown and for a very modest £1,225/m2. The project shares the Straw Bale Cafe’s sustainable focus on energy-efficiency (it is insulated to Passivhaus standards), as well as its site-derived architecture (like the cedar cladding which was grown, harvested and processed just a few hundred yards from the site). 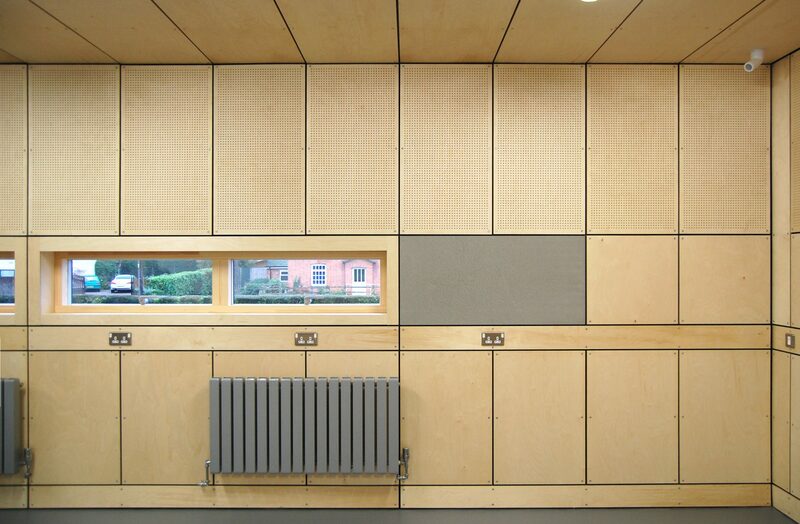 Speed and economy were achieved through the off-site prefabrication of the timber structure and the use of everyday materials in unusual ways (such as the responsibly-sourced birch plywood wall panels, which lend a unique warmth to the interior). Most materials were also used in standard manufacturer’s sizes, thereby minimising on-site waste and operations. 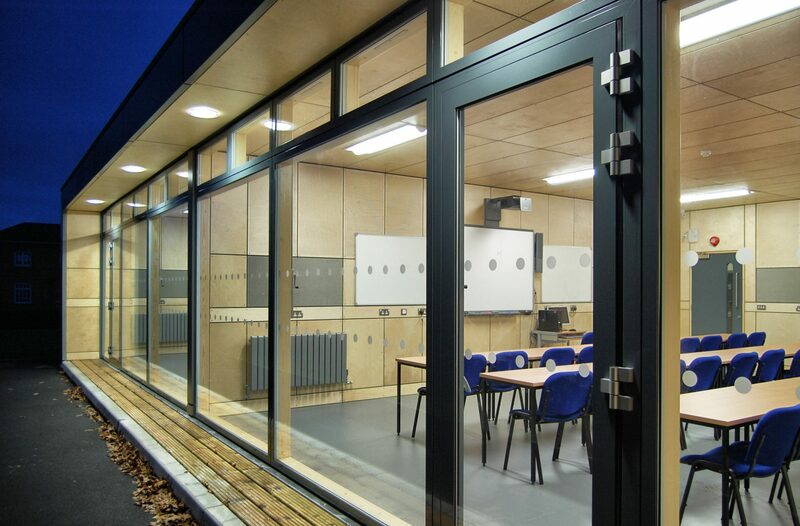 Crucially, the project still incorporates current best practice in classroom design, offering a flexible space with carefully integrated IT, lighting, acoustics and display. 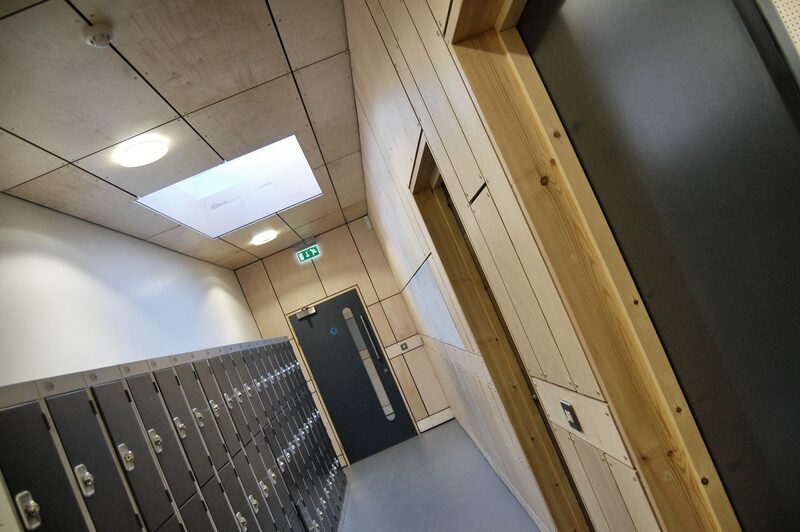 Hewitt Studios worked hard to ensure that the ‘fast-track’ process did not compromise the quality or functionality of these classrooms, delivering a result which belies the project’s ‘post-Gove’ budget (falling comfortably within his mooted target of £1,450/m2).